I have to say that I really liked this episode. I thought it was the best one to date, which makes me look forward to seeing how the rest of the drama will unfold. The episode starts with flashbacks from the four lives that He Lan Jing and Pi Pi shared in the past. 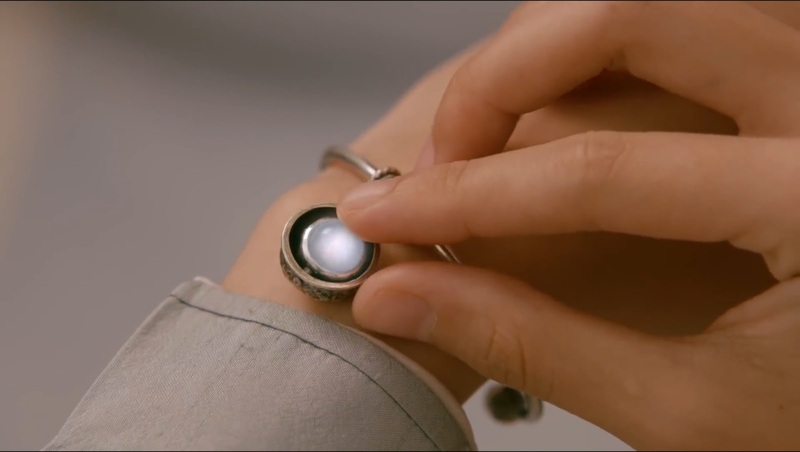 In each lifetime, He Lan Jing gave Pi Pi the orb to wear on a bracelet or a necklace, and each time, it shined brightly. One evening, Ah Xi eavesdrops on his father (Lord Qingmu) having a conversation with an attendant. Lord Qingmu says that for Ah Xi’s sake, Huiyan has to live well until 25 years of age. He says that by Ah Xi giving Huiyan his orb and fragrance, it will protect Huiyan from other members of the Fox Clan who may want to harm her. The attendant starts protesting because of something related to Huiyan, but Lord Qingmu cuts him off. It’s very mysterious and I want to know more about what’s going on. In the present day, Zhao Song who is the Second Priest of the Fox Clan has come to see He Lan Jing. Zhao Song tells He Lan Jing that his father Lord Qingmu wants to see him. He Lan Jing says that he doesn’t have time, and we find out that He Lan Jing hasn’t seen his father for hundreds of years. Zhao Song remarks that the adverse relationship between He Lan Jing and his father is bad for the Fox Clan. 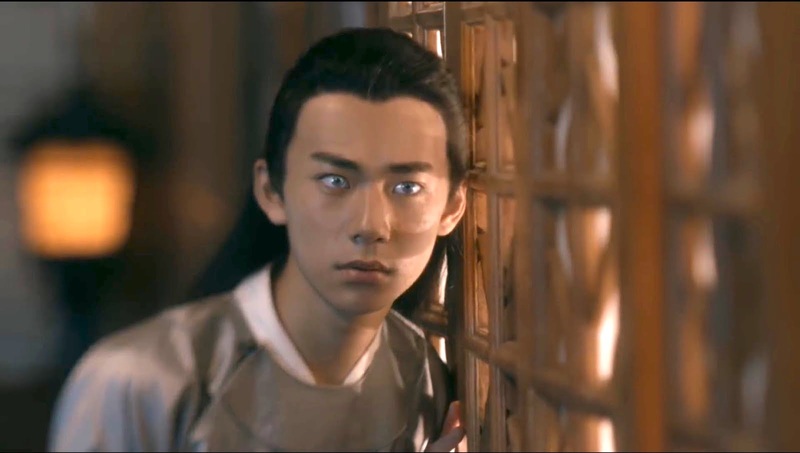 As Zhao Song turns to leave, He Lan Jing stops him and asks if he’s given his orb away. Zhao Song replies that no, he still has his, and asks why He Lan Jing is asking. He Lan Jing says there's no reason. As Zhao Song walks away, he approaches Qian Hua from behind and scares her. Zhao Song asks Qian Hua if she’s really looking for the mirror saying even if she found it, it’s of no use because He Lan Jing wouldn’t appreciate it. He advises Qian Hua to give up, and she tells him not to say these things to her. He tells her not to use her magical abilities, because it'll make him worry about her. Meanwhile, Pi Pi is at work starting to look up information online regarding foxes and orbs. A coworker nearby asks Pi Pi if she is wearing perfume, because there is a very nice fragrance in the air. 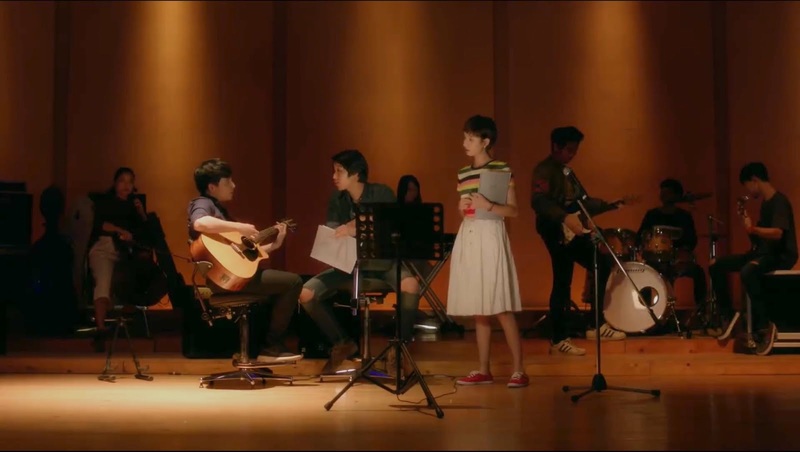 Jia Lin goes to see Tian Xin while she is practicing a music performance with her classmates. Ugh, I find this guy so annoying. It’s obvious that he likes Tian Xin. He needs to be truthful with Pi Pi and break up with her already. During a break, Tian Xin whispers to a classmate, who then goes tell Jia Lin that he needs to leave because the rehearsal is only for staff. When Tian Xin leaves rehearsal, she runs into Jia Lin, who had been waiting for her outside. 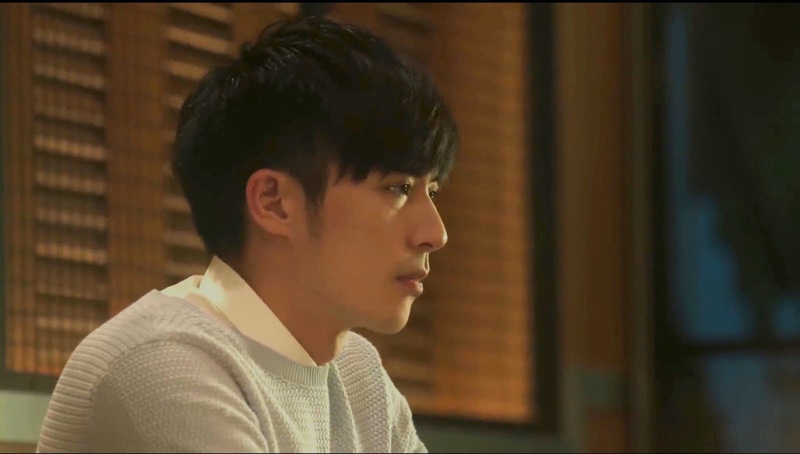 He asks if Tian Xin has been avoiding him, who says they should talk when Pi Pi is also present. Jia Lin says that they are friends as well as classmates, so of course they will spend more time together. He says that they haven’t said or done anything to make Pi Pi sad. Tian Xin agrees, but she thinks one day she won’t be able to stop herself from saying something inappropriate. Pi Pi continues to look up information on foxes, when her boss comes to ask about her progress on He Lan Jing. Pi Pi has learned that the surname He Lan, in olden times, was used in the north. Over time, the name was changed to He. She says that she wasn’t able to find anything else on He Lan Jing. Pi Pi’s colleague jumps in to say that she found a He Lan Jinming, who had been a poet during the Tang Dynasty. He had married a very beautiful fox. The fox was forced to steal the Golden Flower Mirror by her family, and was then killed by others. This must be the mirror that Qian Hua is looking for. Just then Wang Xuan arrives and calls the story nonsense, but Pi Pi’s coworker says that she found that Wu Zetian’s (China's only female emperor) sister was also a member of the Fox Clan. She mentions that members of the Fox Clan have mystical powers and have the ability to control others’ bodies and thoughts. Pi Pi’s boss asks her about He Lan Jing, to which she replies that no, she doesn’t know him, but she finds him very strange. As Pi Pi is about to leave to prepare for her interview with He Lan Jing, Wang Xuan comes over to ask what perfume Pipi's wearing. Again, she replies that she's not wearing any. Wang Xuan then asks Pi Pi if she knows the man at the auction (Kuan Yong), and Pi Pi says she only knows that he’s a plastic surgeon. The stories about foxes having the ability to take over other peoples’ thoughts raises Wang Xuan’s suspicions, and she takes out the lipstick Qian Hua had given her to look it over. Xiu Xuan and Kuan Yong have gone to Xiao Ju’s café again for lunch. Xiu Xuan asks Kuan Yong if the orb is broken, because previously, whenever Pi Pi would wear the orb, it would glow immediately. Kuan Yong says that the orb glowed in the past because He Lan Jing and Pi Pi had already fallen for each other. This time, Pi Pi didn’t fall in love with He Lan Jing at first sight. Xiu Xuan wonders exactly that, why that was the case, and Kuan Yong guesses it’s because women in this era have different preferences. Xiu Xuan doesn’t think much of Kuan Yong’s response, lol. Xiao Ju comes over with their sandwiches, and asks them if she can ask them a question. Xiu Xian: “No.” Xiao Ju: “I’m not asking you! Why do you both come here so often? What are you looking to do?” Xiu Xian says it’s because they are so handsome, that when they go to other restaurants, the waitresses will bother them. But here, it’s peaceful, the food is tasty, and best of all, there are no women here. Xiao Ju snaps back, “You’re wrong, there’s a woman sitting right here (as she implies that it's Xiu Xian).” LOL. Xiao Ju and Xiu Xian glare at each other before Kuan Yong steps in to say that what Xiu Xian meant was that the food here is very delicious. Xiao Ju: “Thanks!” As she leaves, she calls Xiu Xian childish. Kuan Yong lets out a laugh and Xiu Xian asks him what he’s laughing at. He says that in the hundreds of years they’ve known each other, he’s never seen Xiu Xian lose at bickering. Xiu Xuan then receives a call from He Lan Jing that there is an emergency, and he and Kuan Yong head off. Wang Xuan goes to see a friend of hers who is a doctor, and asks him to run some tests on the lipstick Qian Hua gave her. When the doctor refuses, Wang Xuan causes a scene in the middle of the hospital. She throws herself to the floor and shouts until the doctor is forced to oblige. When Xiu Xuan and Kuan Yong arrive at He Lan Jing’s house to cater to the emergency, they see He Lan Jing holding up two ties and asking which one he should wear. Kuan Yong says they should discuss the emergency first, and He Lan Jing says this is the emergency. Lol. He Lan Jing says that in this life, he and Pi Pi haven’t…..Kuan Yong: “Dated?” He Lan Jing: “Yes!” So now he feels….Xiu Xian: “Nervous?” He Lan Jing: “Yes!”. LOL. I love this conversation. He Lan Jing’s nervousness is kind of adorable. Xiu Xian starts laughing, and He Lan Jing says that he doesn’t know what women like these days. Xiu Xian remarks that women these days are indeed complicated and what it boils down to is that when a woman says yes, she means no, and when she says no, she means yes. This is such nonsense – He Lan Jing, don’t listen to him! You’re going to get yourself in trouble. Tian Xin is chatting with a guy classmate who asks her out to dinner. Jia Lin interrupts their conversation, and presses her to explain what she meant by what she said earlier. Tian Xin finally tells Jia Lin that she likes him, but it’s not worth losing Pi Pi. To Pi Pi, Tian Xin is her close friend, and Jia Lin is the person she loves. If they become a couple, not only do they lose Pi Pi, but Pi Pi will lose both of them. To her, they are her whole world. 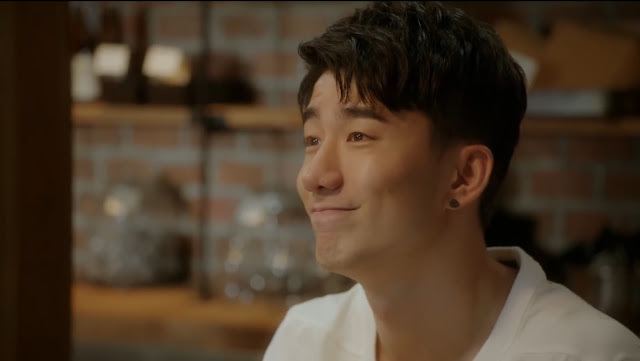 Jia Lin tells Tian Xin that he appreciates how much she cares about Pi Pi, but they should be honest, or it will hurt them all more. He says that one day, Pi Pi will find out that the person she loves doesn’t love her back. Jia Lin obviously knows he doesn’t love Pi Pi anymore, why can’t he just tell her the truth and break up with her? Stop stringing her along. What a jerk. Jia Lin tells Tian Xin that he wants to have dinner with her, and will wait for her at the restaurant. Tian Xin tells Jia Lin to stop, and decides take up her classmates offer to go on that date instead. She tells Jia Lin that she has choices, but he is the only one who Pi Pi loves. He should not let her down. Meanwhile, Xiu Xuan and Kuan Yong are taking turns helping He Lan Jing find an outfit to wear for his interview with Pi Pi, basing the outfits on their own styles and berating each other's choices. These outfits are so ridiculous, lol – they don’t suit He Lan Jing at all. He Lan Jing finally has enough and decides just to dress like he usually does. Thank god. He looks great. 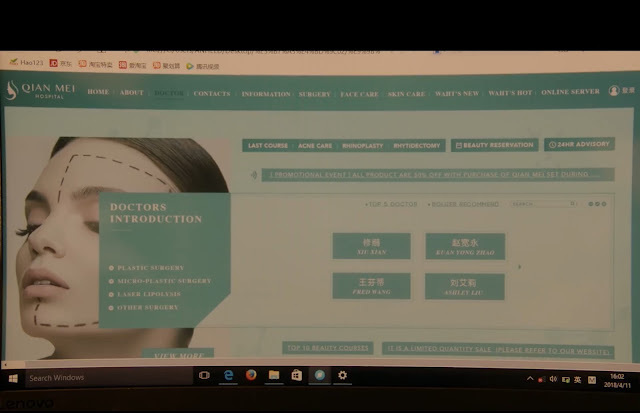 Wang Xuan decides to look up plastic surgery offices, and finds the one where Xiu Xian (it turns out he’s a plastic surgeon as well! Didn’t expect that) and Kuan Yong work. Okay – she was able to find them way too quickly. Wang Xuan goes to their offices, and asks the receptionist for a walk-in appointment. The receptionist says they generally don’t do walk-in appointments, and Wang Xuan pushes her to check if there have been any cancellations. As the receptionist checks their system, Wang Xuan talks with another patient to try and find out whether Kuan Yong has a girlfriend. When Kuan Yong and Xiu Xian walk in, Wang Xuan approaches Kuan Yong to ask if he remembers her. He brushes her off and says he has to prepare for an operation. Ha. Good. He’s way too good for her. Plus, I kind of like Kuan Yong for Xiao Ju. 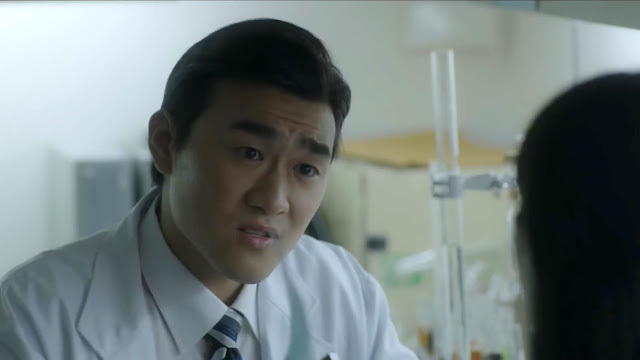 As Wang Xuan tries to follow Kuan Yong, Xiu Xian jumps in and tells Wang Xuan that they are plastic surgeons, not magicians. They can’t do anything to improve Wang Xuan’s appearance. Lol. A little mean, but hilarious. She deserves it anyway. Jia Lin arrives at the restaurant to wait for Tian Xin. Pi Pi arrives at a fancy restaurant and gets right down to business to start her interview with He Lan Jing. When he says that they should have dinner first, Pi Pi tells him that he can go ahead and eat, but she is just there for the interview He Lan Jing tells Pi Pi that he doesn’t eat human food, which she brushes off as a joke. Pi Pi asks him what his job is, and He Lan Jing tells her that he buys antiques. When he says that he doesn’t have income, Pi Pi assumes that he must come from a wealthy family. He Lan Jing tells Pi Pi that he doesn’t have a girlfriend, but he has someone he likes. Pi Pi asks if it’s Qian Hua, and He Lan Jing asks her if the interview is to pry into his personal life. Pi Pi tells He Lan Jing that this job is practice for her, as her dream is to become a political reporter and focus on social concerns. He Lan Jing asks her what areas she’s interested in, and Pi Pi says she’s very interested in environmental protection, like ivory trafficking and it's obvious how happy and enthusiastic she is about her dreams as her face lights up when she talks about the topic. He Lan Jing tells Pi Pi that he’ll help her as much as he can, and Pi Pi says that it’s really unnecessary. He Lan Jing asks Pi Pi if he can ask her a question, which turns out to be what she wants to eat. She says that it’s unnecessary, but he calls the waiter over. When he asks if Pi Pi wants bubbly water, she says no but He Lan Jing orders it for her anyway. The same goes for when He Lan Jing asks her if she wants seafood. She says she doesn't eat seafood, so he orders one for her anyway. Oh no, he’s taking Xiu Xian’s dumb advice from earlier, completely oblivious to the damage that it'd doing. Pi Pi asks He Lan Jing what he usually eats, and He Lan Jing tells her that he eats flowers. Pi Pi asks him if he means broccoli or cauliflower (both terms have the Chinese word in it for ‘flower’). He Lan Jing says he just eats flowers. Pi Pi, under her breath: “What nonsense.” She asks him if he eats them stir fried, in tea, or in cakes. Lol. At this point, she’s just humoring him, even though she thinks he’s lying and being ridiculous. He says he just eats them raw. She asks him if he eats them three times a day for every meal, and if he eats them individually or by weight. He Lan Jing says it depends on his mood. Pi Pi sees a vase of flowers on the table, and raises it to He Lan Jing, telling him to eat it so she can see. He Lan Jing winces and says he can’t eat those, because they have fertilizer. Lol. I absolutely love this conversation. Pi Pi: “Mr. Helan!” He Lan Jing replies that she can just call him He Lan. Haha. Pi Pi asks him to be serious, given that she agreed to go to the auction on the condition that he would agree to be interviewed. He Lan Jing says that he’s truthfully answered every question and that he has never fooled her in this life. The waiter comes to refill her water, and when she takes a sip, he asks her if she wants lemon. She says no, so He Lan Jing tells the waiter to bring her some lemon. Oy. Pi Pi continues on with the interview, asking He Lan Jing where his hometown is. He Lan Jing: “The Sky Fox Star”. Pi Pi responds that she’s never heard of it, and asks which province that’s in. Ha. He Lan Jing says that he’s talking about a planet, so Pi Pi asks him if he’s saying that he’s an alien. He Lan Jing tells Pi Pi that he’s not human, he is a Fox. Pi Pi: “So you’re saying you’re a Fox from another planet?” He Lan Jing: “Exactly”. Pi Pi just sighs and starts packing up to leave. Just then the waiter comes with their food. Pi Pi says that she’s allergic to seafood, and asks if they can return it for a refund. The waiter says he can’t do that, and Pi Pi shouts at He Lan Jing for ordering the food when she said she didn’t want it. He Lan Jing tells the waiter to take the food back and exchange it for something other than seafood. He Lan Jing apologizes to Pi Pi, telling her that Xiu Xian told her that when women say no, they mean yes, and when they say yes, they mean no. He says that he doesn’t know how to interact with women. I like the honesty. Wang Xuan goes to see her doctor friend, as he’s already finished testing the lipstick. He tells her that there is nothing bad about it. It is even lacking in the basic ingredients you would normally expect to find, and it's almost like the lipstick is unusually perfect, like magic. Wang Xuan stares at the lipstick, deep in thought. Pi Pi asks He Lan Jing if he’s not going to eat, and he says that he really only eats flowers. Pi Pi uses some modern slang that means if you live long enough, you can encounter anything. He Lan Jing takes the opportunity to ask Pi Pi to explain some phrases he’s heard her use, and Pi Pi asks him that he’s young, does he never go online? He Lan Jing says he’s a lot older than her, and when she asks him how much older, he tells her he’s 900 years older. Thinking that it's utter nonsense, Pi Pi asks him to prove that he’s a 900 year old fox. He Lan Jing tells Pi Pi that he has a great sense of smell. For instance, he knows that she did a lot of paperwork that day because he can smell the ink on her fingers. He also knows that she had pork buns and yogurt for lunch, because he can smell them. He can even smell what she’ll be eating next. He happens to describe the dish that the waiter brings her, and Pi Pi says he must’ve known because he’s familiar with this restaurant. He Lan Jing says he can sense that Pi Pi is a bit angry. Pi Pi says that if he were her, wouldn’t he be angry? He Lan Jing says he answered every question she asked, and that in this life, he’s never lied to her. She says that in summary then he must be a 900 year old fox from another planet. She asks if that means that his two friends are also foxes, and he confirms that they are all members of the Fox Clan. When Pi Pi asks if they also eat flowers, He Lan Jing says that he eats flowers, but other Foxes eat human liver. It’s amusing how completely sincere He Lan Jing is being, but to Pi Pi, everything must sound so ridiculous. Pi Pi can’t take any more and leaves to go to the restroom. 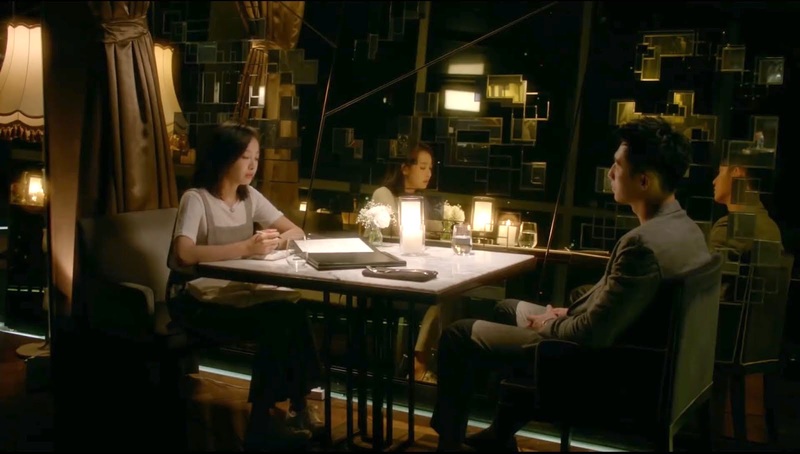 As she walks back through the restaurant to a balcony overlooking the city, we see that Tian Xin is having her last-minute date at the same restaurant. He Lan Jing comes over and asks Pi Pi if he scared her. When Pi Pi says he didn’t, He Lan Jing adds that Pi Pi seemed to only want the truth. He Lan Jing says that humans are not willing to believe in what is beyond their understanding, and asks Pi Pi if she wants to experience something she doesn’t understand. He pulls her head to his chest to have her listen to his heartbeat. In her voiceover, Pi Pi says, "It’s said that lies make the world better, because then you can live without facing cruel reality. When you know the truth, you’ll even be angry because lies are better. Sometimes living in a world of lies is what makes people happy." Pi Pi is stunned after listening to He Lan Jing’s heartbeat. Thank you! I'm enjoying the drama. I can't get enough of this drama - thank you for the recaps! He Lan seemed a little naive for having lived so long...Or maybe it's that working for his love has never been part of his life? The first episode did say that it was supposed to be love at first sight. I wonder why it wasn't in this lifetime too? So this is uncharted territory for him then.